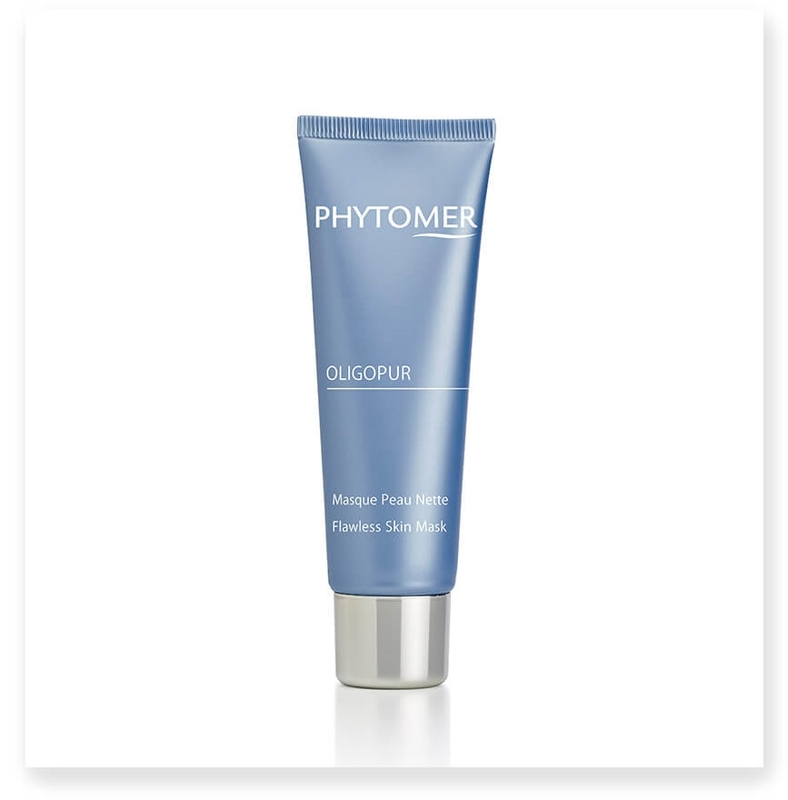 Phytomer's OLIGOPUR Flawless Skin Mask provides a 3-in-1 treatment to purify skin, neutralize breakouts and provide a anti-shine effect thanks to an snti-blemish biotech concentrate, anti-bacterial algae and absorbent white clay. It has a light cream-foam texture perfected suited to blemished skin. Non-drying and non-comedogenic. Apply a medium-thick layer on face and neck, making sure to avoid eye contour area. Leave on for 15 minutes. Remove with moist sponges. Use once to twice a week. EPS AMM - ABSOLUTE MARINE MATIFIER: an anti-blemish biotech concentrate, this natural marine sugar has an outstanding purifying power to act effectively on combination to oil skin. 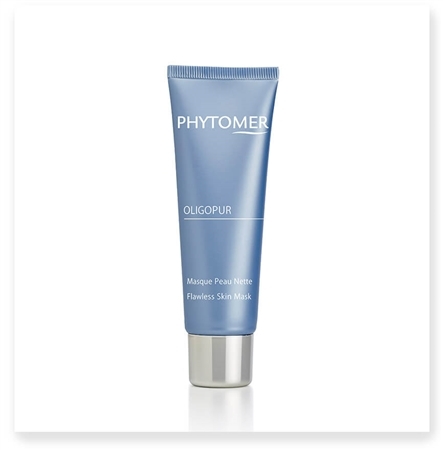 This 3-in-1 biotechnology concentrate provides an overall matifying effect to instantly regain clear and balanced skin. SEBOREGULINE: anti-bacterial algae acts on the overproduction of sebum with antibacterial and anti-inflammatory properties. WHITE CLAY (KAOLIN): absorbs excess sebum like a sponge. Peels off impurities and toxins. *Satisfaction test on 24 women after one application. ** Satisfaction test on 24 women after 2 applications per week for 28 days.